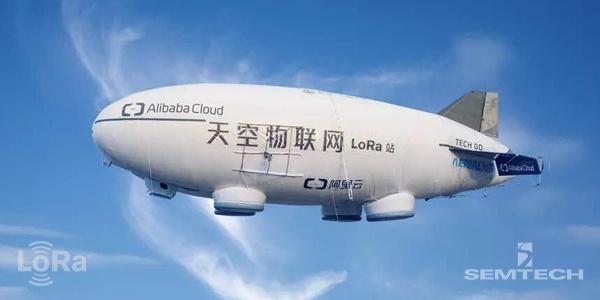 In an impressive demonstration of LoRa Technology, Alibaba Cloud unveiled the Alibaba Cloud Arial IoT LoRa Station, an airship balloon which provided network services for IoT at the conference. It connected sensors from 20 meters underground to 40,000 meters above ground demonstrating the extensive capabilities of LoRa Technology including simple and flexible network deployment and long range. 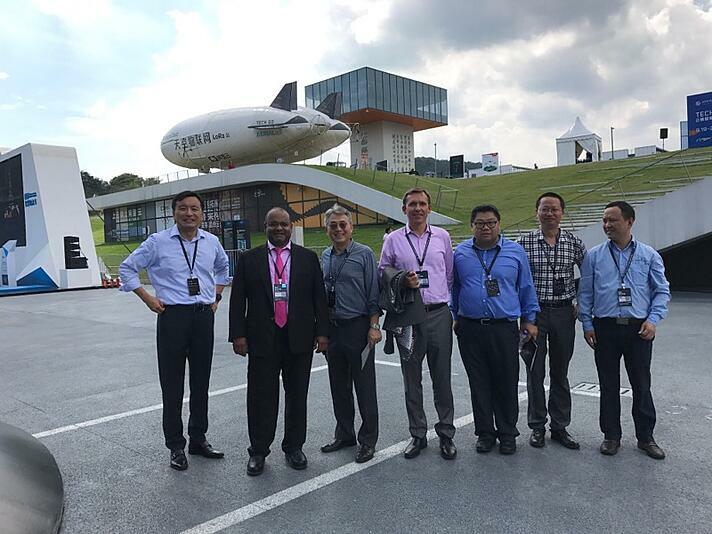 The airship balloon became a superstar of the Computing Conference, with many of the conference’s 60,000 attendees stopping to take a photo. At the conference, Mohan Maheswaran, President and CEO of Semtech Corporation delivered a keynote speech about LoRa Technology’s role in the acceleration of new opportunities for intelligent network development for major industries in China. LoRa Technology enables the easy and simple deployment of devices, networks and applications for IoT, making LoRa the DNA of IoT. LoRa-based IoT solutions can complement Cellular, Wi-Fi or BLE applications by satisfying long range, low bandwidth requirements on an unlicensed low power wide area network (LPWAN), common for high volume B2B or B2C IoT applications. With proven use cases in a wide variety of markets, LoRa Technology applications are delivering real business value today for smart metering, cities, homes and buildings, environment, water, logistics and asset tracking, industrial monitoring, agriculture, health/medical, safety and more. With rapidly growing ecosystem of network operators, Semtech estimates 100 countries will offer LoRaWAN™-based network coverage in the near future. Alibaba Cloud’s collaboration with Semtech further emphasizes LoRa Technology as a global de facto IoT platform and will continue to drive widespread adoption in China and integration into millions of devices. Alibaba Cloud is a sponsor member of the LoRa Alliance™, of which Semtech is a founding member. As one of the leading enterprise members of the LoRa Alliance, Alibaba Cloud continuously promotes the progress and popularization of LoRa Technology in China as well as globally. It provides a complete set of LPWAN solutions for key industries in China. Alibaba Cloud’s vision for the future of IoT is for every enterprise to leverage Semtech’s LoRa Technology. Semtech looks forward to further collaborate with Alibaba Cloud to support the long-term development of IoT technology and applications in China. Learn more about the vast ecosystem deploying LoRa Technology around the globe.